It pays to have friends! 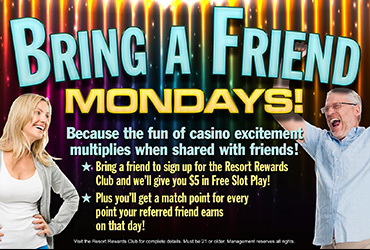 On Mondays, bring a friend to sign up at the Resort Rewards Club and receive $5 in Free Slot Play. Plus, receive Match Points for all the Base points they earn on that Monday.